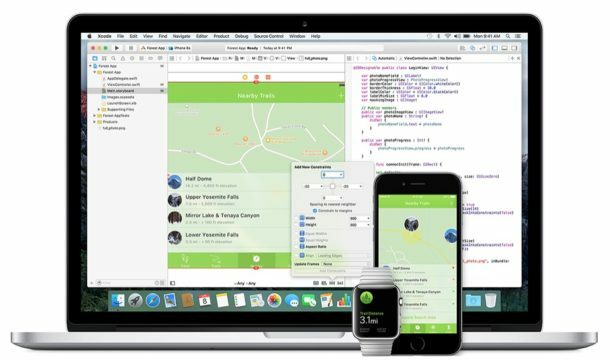 These beta builds will likely focus on bug fixes, feature refinements, and improvements to issues found with the just released iOS 10, macOS Sierra 10.12, WatchOS 3.0, and tvOS 10.0 versions of system software for the entire Apple product line. iOS 10.1 beta 1 includes an iPhone 7 Plus specific feature for taking images in bokeh “Portrait” photography mode, a feature which was mentioned in the iPhone 7 keynote but not released initially. Aside from that, no major new features are expected in the beta releases. Beta testers can find the new builds available now from the respective Developer Centers, or through the Software Update mechanism on a device that has a beta profile installed. The beta builds are available immediately to users in the developer testing program and will probably follow to public beta users soon after. Additionally, a developer beta of Xcode 8.1 is also available to download. Oh good, I hope this fixes Sierra because so far Sierra is very buggy and crashes a lot! 10.12.1 can’t come soon enough for my Mac (2015 mbp). I must be very lucky: updated and zero bugs, zero crashes, zero… And this has been the normal situation in each update from Lion, the OS that came with my MacBook Pro 13 2011. I entirely agree with you. It’s not luck, it’s good work. Same for me, no crashed since I switched from Windows to Apple in 2008! I see these other positive experiences and wish I was included. I hope they fix AirDrop, stopped working on everything after I updated to iOS 10 and macOS Sierra. Apps crash a lot in macOS Sierra too. iOS 10 is slower than iOS 9, kind of fruustrating to use. Bad experience all around, I hope the updates fix it. How do I remove the IOS 10.1 beta? I followed the protocol Apple shows on their website, but whenever I go to settings, general, and then scroll down to profiles it does not show a profile option. The same question as Brian. How can i remove beta profile ??? cannot see it in General. The reason why none of you have broken systems with upgrades is none of you do anything other than use Office apps, a browser and email.